My thanks go to one of my work colleagues (You know who you are!) for bringing this simplified explanation of how the European banking crisis has happened to my attention. 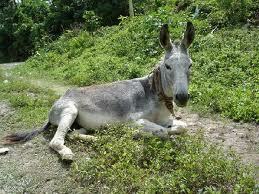 Young Paddy bought a donkey from a farmer for £100. The farmer agreed to deliver the donkey the next day. A month later, the farmer met up with Paddy and asked, ‘ What happened with that dead donkey?’ Paddy said, ‘I raffled him off. I sold 500 tickets at £2 each and made a profit of £898’ The farmer said, ‘Didn’t anyone complain?’ Paddy said, ‘Just the guy who won. So I gave him his £2 back.’ Paddy now works for the Royal Bank of Scotland. This entry was posted in The Economy.